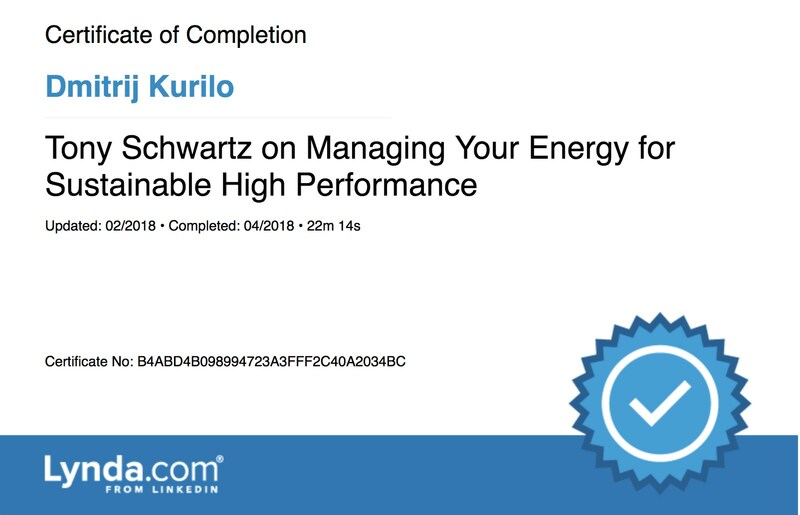 Just completed a very short course by Tony Schwartz on Managing Your Energy for Sustainable High Performance, sourced from http://theenergyproject.com on Lynda. Who are you at your worst? What one behavior can you experiment with in next 2 weeks?